While many SEO best practices are continuously evolving, there are always going to be the “essentials” to optimizing a website for better performance. From simple technical implementations like Google Analytics and Webmaster Tools to basic on-page SEO and keyword usage, below is the brief (but complete) SEO checklist for 2016. Google Analytics will enable you to understand the market; it equips you with marketing intelligence, and that will help you craft effective SEO strategies. Google Analytics will most of the time help you make crucial marketing decisions. For an effective SEO campaign, adding your site to Google Search Console and Bing Webmaster Tools is a must-do as it helps you identify the factors that impact on your search traffic and technical issues. You can also better communicate your site with Google and submit sitemaps for faster indexing. In 2016, site loading speed is an important factor to consider for SEO. A speed rating of 85+/100 is ideal (at Google PageSpeed Insights,) not only for faster crawling (better for SEO), but also because slow speed may lead customers away. Make sure that your content management system (CMS) has the necessary SEO plugins that allow you to write the title, image ALT tags, descriptions, headers and page tags. The plugin should also allow you to format the text. These plugins will ease doing the SEO related tasks. The traffic coming from mobile devices have already surpassed that of desktop. As a result, to provide a good user experience (UX) to your visitors, you must make sure your site is responsive on mobile devices. If you’re site is not mobile-friendly, then it would be worth investing in a mobile website design company. Further, Google gives ranking preference to the sites that are mobile friendly. Broken links will negatively affect SEO, so make sure to fix/redirect any broken links. One of the tools you can use is Xenu’s Link Sleuth, it is a great tool and is free. Use World Wide Web Consortium (W3C) to validate your HTML code using W3C Validator Tool and CSS files with CSS validator. Here you can pinpoint any technical hiccups that may be hindering your site’s SEO performance. Creating a sitemap for your site will help improve the ability for Google and other search engine bots to better crawl, index, and rank the pages of your site. Similar to the index of a book (that’s commonly linked on all pages of the site,) leverage the advantage of creating a complete sitemap. After submitting your site to Google Search Console, check your website to identify the following issues and fix them, HTML improvement improvements for figuring out errors in your codes and where on-page SEO has gone wrong, mobile usability issues, crawl errors, manual actions for helping identify if Google has penalized you. Search for and fix 302 and 301 errors. Check to see if your server is running on a genuine server. Running your website from a spammy or questionable server can potentially ruin your SEO campaign. Check if your website can support many concurrent users if the speed of your website decreases due the increase in the number of connected users do adjustments to improve the website performance. Today SEO is not only about keywords; the content is imperative in achieving effective SEO campaign. An ecommerce SEO site audit that identifies opportunities with on-page SEO and proper keyword usage can be of great value. We suggest the ecommerce SEO site audits at Click Centric SEO. You should limit the page title to 60-65 characters and ensure it begins with relevant keyword use. Limit the description to around 155 characters and also use keyword where relevant and logically. Populate the ALT tags of your images with creative keyword use, but still keeping each image ALT unique and related to the image. Publish quality, relevant, and unique content, as this impacts both the SEO and customer engagement of your site. Duplicate (non-evergreen) content diminishes your site’s search engine rankings. To position your website for RankBrain success you should write good content, use a natural tone while writing content, use images and videos. Learn more about Google RankBrain’s impact on SEO. The user experience (UX) and usability of your site will have a significant impact bounce rate and other conversion and SEO-driven site metrics. Aim for a good UX as it will lead to improvements to your SEO campaign. Addressing the above items are pivotal to an effective SEO campaign. Search engine optimization has become the one marketing tool that many businesses are employing. 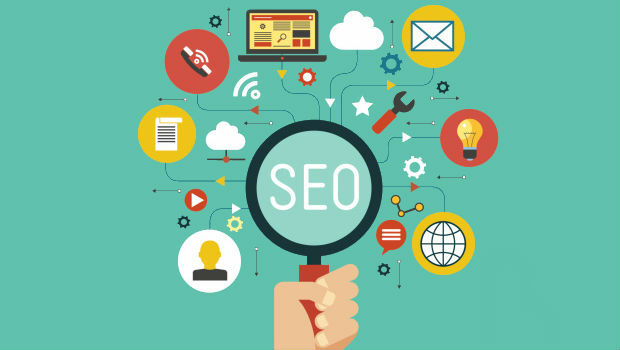 SEO it helps put your business in the spotlight when potential customers are actively searching for what it is you offer. SEO has been playing a constant role in the digital marketing efforts for most online stores, but the most effective strategies for SEO are constantly evolving. What used to work five years ago many not work in today.